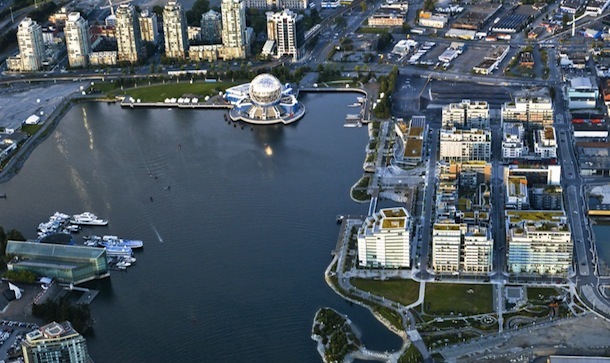 The Olympic Village (aka Millenium Water) is one of the greenest communities in the world, making Vancouver a leader in sustainable development. 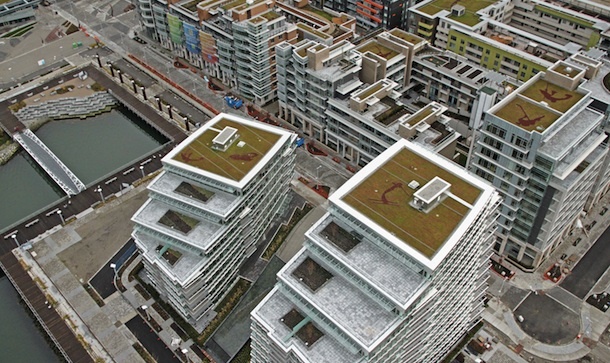 In keeping with Vancouver’s Greenest City targets, the Olympic Village uses innovative energy efficiency and sustainability systems like solar heating and green roofs. 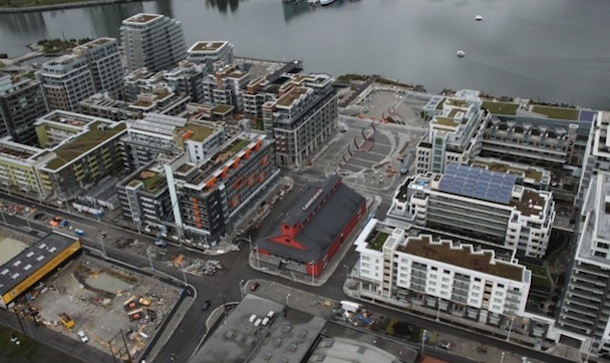 Located in Southeast False Creek, the Olympic Village was built for the 2010 Winter Olympic Games, to house athletes and Olympic officials coming from across the world. After the Olympics, the Olympic accommodation became residential housing. The development aligns with the City’s goals, addressing environmental, economic, and social issues. 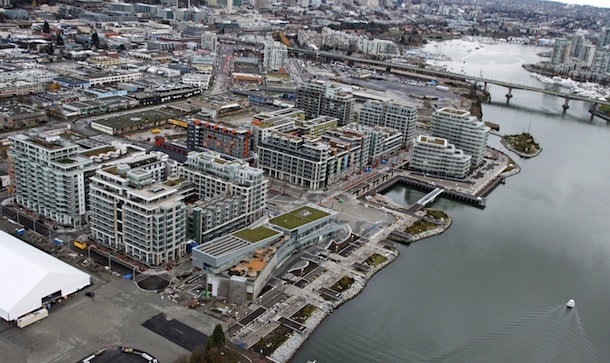 The Olympic Village is a mixed-use community, with approximately 1,100 residential units, area parks, and a growing number of retail and service outlets. The site is about seven hectares in size and consists of over 20 buildings, with approximately 1.2 million square feet of multi-unit residential and mixed-use development. All SEFC buildings have achieved LEED-NC Gold certification, with the Community Centre and the Net-zero Energy Senior’s Housing project achieving LEED Platinum. Recollective was responsible for providing green building consulting to the design team to help determine how the project’s sustainability goals could be met, and for the overall LEED project management for SEFC. We were also responsible for providing architectural design support for meeting a net-zero energy goal for the senior’s housing project, designed by GBL Architects. 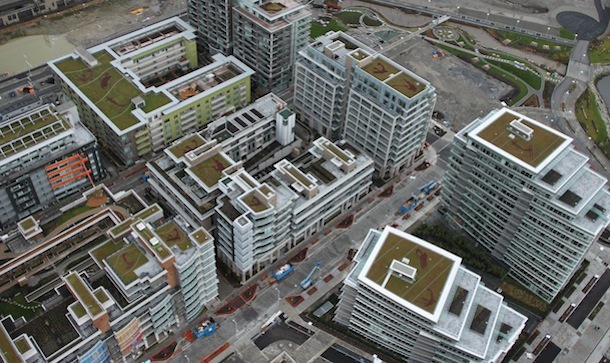 We worked with the City of Vancouver and the developer to both interpret the City’s Green Building Strategy, and to determine how compliance will be documented for the permitting process. 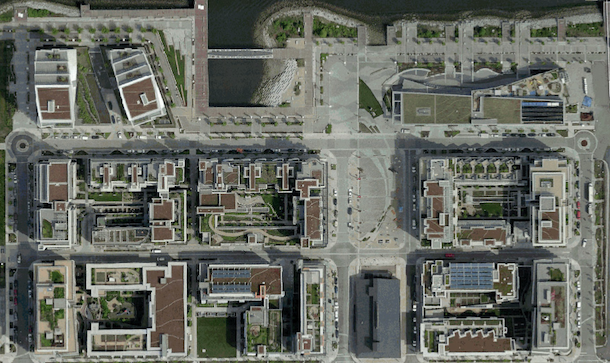 The system that Recollective collaboratively developed was intended to be the blueprint for the City for other developers of the SEFC lands. Recollective would like to acknowledge the fact that the original contract for SEFC was held by Thornley BKG Consultants (TBKG), with Recollective and Eco-Integration as sub-consultants. The untimely death of green building superstar Andy Kesteloo of TBKG on January 15, 2007 resulted in the contract being transferred completely to Recollective. Therefore, we would like to share credit for this project with TBKG and Eco-Integration. To honour Andy, the Canada Green Building Council has created a student project award to recognize a student project that demonstrates leadership, innovation, inspiration and a creative vision for the future of sustainable design in the field of green building and communities.